Croft End work in conjunction with Reaseheath College, Nantwich, Cheshire to deliver Level 3 in Horse Management and Level 2 in Horse Care at Croft End. Progression: Level 3 Subsidiary Diploma at Croft End or Reaseheath. Enter into industry. Progression: Level 3 Diploma at Croft End or Reaseheath. Enter into industry. Progression: Higher Education at Reaseheath. Enter into industry. Conclusion? That CE was 'definitely one of the best private Equestrian Centres in the country. Exemplary standards of horse care and staff care'. No need to look any further for your training - join a highly accredited and commended BHS yard and train with our expert staff. Call the office for a chat or come down on a Sunday afternoon between 2 - 4pm and see our facilities for yourself. As a BHS Accredited Coach I visit Croft End on a monthly basis. I consider Croft End to be a professionally run yard with a friendly atmosphere. Staff and students are always enthusiastic and take pride in their centre. It has excellent facilities with superb surfaces in both indoor and outdoor arenas making it ideal for teaching jumping lessons to all abilities. I have been the farrier at Croft End since the start. It is a busy yard and very well organised. The 60+ horses are always brought to me in an immaculate condition, with hoof care being of paramount importance to the staff. It's a pleasure to keep these horses sound and in work at this marvellous centre. This equine veterinary practice has provided veterinary care and attention since the conception of Croft End. The horses and ponies at Croft End are very happy and content in their work. All of our veterinary surgeons are happy to attend such a well run yard and find the staff very helpful. Horses and ponies that have been loaned/sold to Croft End are treated exceptionally well and I have no hesitation in recommending this establishment. Definitely one of the best private Equestrian Centres in the Country. Exemplary standards of horse care and staff care. We will be holding a Careers Event and Taster Days at Croft End, Knott Lanes, Bardsley, Oldham OL8 3JD in the near future and would like to reach out to as many schools, careers advisors, parents as possible. Please take a moment to have a look at our website www.croft-end.com and that of Reaseheath College www.reaseheath.ac.uk. It would be great to hear from parents/staff that would be interested in finding out more about what we have to offer young people, at Croft End. We also have an informal ‘drop in session’ every Sunday between 2pm and 4pm – so any interested pupils can come along with their friends and family, meet the staff, view the facilities and of course meet the 65 horses that we have on site. I am based at Croft End full time, so please feel free to give me a call to discuss any aspects of our provision and to add your name and that of any colleagues to our Careers Event invite list, there will be Coffee and Cakes! 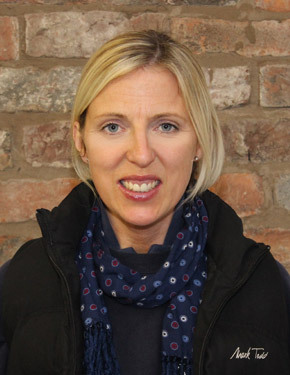 Reasheath Course Manager and Equine Lecturer Lisa Sharp - BSc (Hons) Equine Science and Management / PGCE/ NVQ Assessor/ Internal Verifier / BHS Accredited Professional Coach/ BHS Ride Safe Trainer. Lisa is an experienced rider and competes with her home produced Barontop Sheena and Walwen Toy Soilder.